Visit JAMindy's Facebook for a calendar full of jazz and Premium Blend will post daily on our Facebook! Click the picture below to check out today's JAM. JAM's for Jazz Appreciation Month is here for your enjoyment! We draw inspiration from all of these artists and their contributions to jazz. JAM on, everyone. We are gearing up for another crazy month of shows! Our very own, Jared Thompson, will be traveling with the Indy native BYBYE to play during SXSW. When he returns, you can catch us for a free performance at The University of Indianapolis as a part of their Jazz Concert Series. In April, we are thrilled and honored to return to the stage at Laughing Matters, a local cancer benefit that brings national talent. This year, Whoopi Goldberg headlines and we could not be more excited! Village Voices: Note from the Griot has come to an end. We were honored to participate in this event and to collaborate with such talent. We will have some closing thoughts, but for now, enjoy this amazing panoramic collection of the artists, taken from each performance! Premium Blend featured on the radio show, Have You Heard, with Richard Dole and Matthew Altizer. Here you can listen to Jared Thompson as he discusses taking "The Road" out on the road! If you missed it live, you can listen to everything here! Rob Dixon takes it away at the Chatterbox! Indianapolis Jazz will never disappoint! Open Bite Night is finally here! 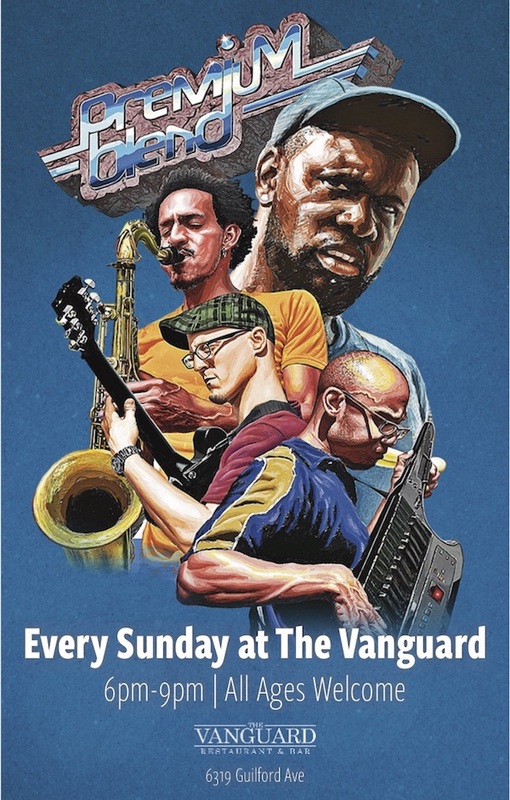 Take a look at what you're missing out on every Sunday at The Vanguard! We'll be there next week from 6-9! For the 4th consecutive year, Premium Blend joins some of Indy's best in the Nuvo 2017 awards! Click the picture below to cast your votes for everything and everyone you love in the city! What started as an impromptu neighborhood cookout in July of 2016, Open Bite Night has morphed into an energetic culinary and artistic display for the residents of the 46208 zip code and beyond. Husband and wife Earl and Ro Townsend, the creators of the event, will be at it again October 7th from 2-8pm at the Flanner House located at 2424 Dr. Martin Luther King St. With over 20 food vendors providing everything from soups to sliders, seafood to savory vegan/vegetarian dishes, and a multitude of desserts, Open Bite Night is anticipating over 1,100 people in attendance this year. (GRoE Inc, Flanner House of Indianapolis Inc, The Learning Tree, Voices Corp, Growndwork Indy, and Kheprw). 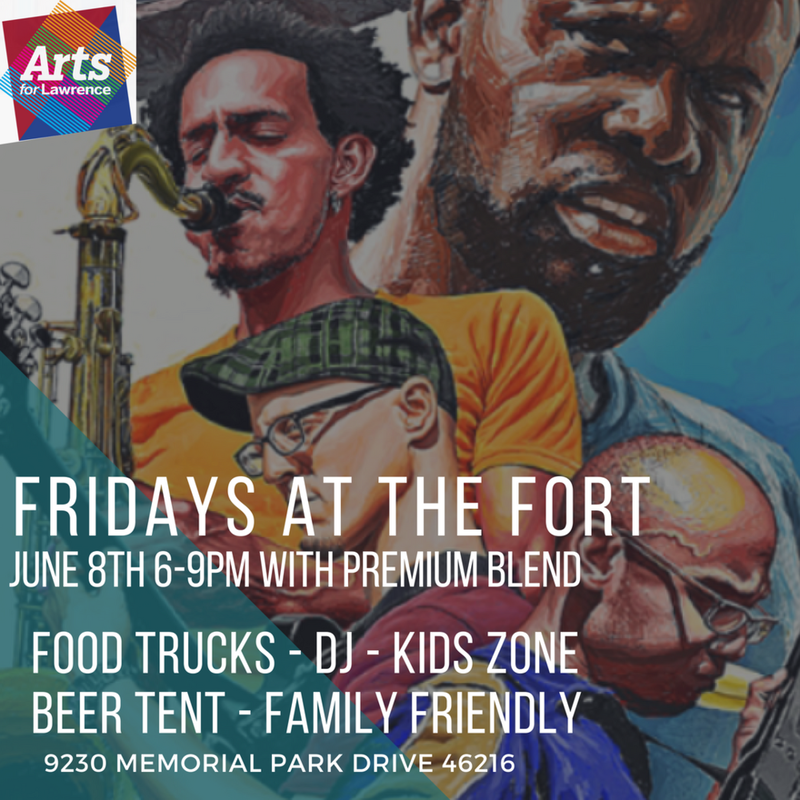 Premium Blend will be the final performance of the evening from 7:15-8pm. Learn more about Open Bite Night here and be sure to follow them on facebook! September in Indianapolis is marked by shorter days, cooler nights, and Indy Jazz Fest. The week-long festival continues with the "all around town" concept in order to bring great jazz to every section of the Circle City. The festival begins September 14th and ends with a massive block party on the 23rd at the Jazz Kitchen from 3pm-1am. This year's roster includes Grammy winners Kirk Whalum and Randy Brecker, as well as other national giants such as Charlie Hunter and Tony Monaco. Below you'll find the full line-up for Indy Jazz Fest 2017. Go to http://www.indyjazzfest.net for tickets and venue/concert info. Watch "Go Get Your Horn"! 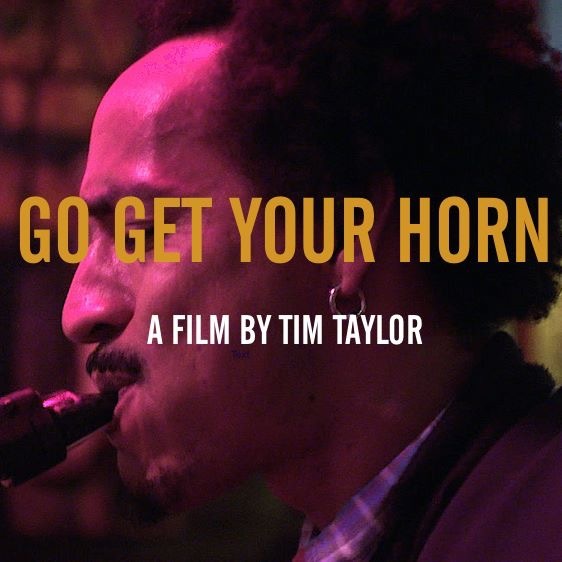 Thanks to WFYI you can now stream "Go Get Your Horn"! Don't sleep on this celebration of community, mentorship, and music. Click the picture below to begin streaming! We're coming for you, Vanguard! Some Composition Inspiration for you!